While it continues to be important to maintain a balanced presence within every moment of the Now, the ongoing activity of transformative energies coming in as photonic light through the Great Grand Galactic Central Sun system of Alcyone continues to gradually expand the Earth and humanity in frequency. Depending on how much DNA you have activated through all the light downloads and upgrades, the more light you will be able to maintain within your Aura and morphogenetic field. This awakening into a fully conscious multidimensional being is determined by the level of light quotient you uphold and maintain, which activates you into a light body expression. It is important to know that while your Higher Self knows all there is to know about reality and all that exists, yet you ask the reason behind why you have incarnated on the Earth in this Now and what it is that you came to do on this plane of existence. DNA Activation allows you to access this information through daily going within the heart in stillness. This is all that is necessary to activate your dormant DNA. Cultivating stillness increases your light exponantially into higher levels of awareness, activating energy blocking potential and your original divine blueprint. Upon activating your DNA, which your light will as it increases, eventually reaching its climax and activating you into your highest state in consciousness; you will begin to be more open to your extrasensory abilities like clairvoyance, direct cognition, intuition, and telepathy where, with practice, it will all feel natural and you will get used to using the abilities daily. It is important to know that while the frequencies being radiated to the Earth through the Great Grand Galactic Central sun system are raising at a very fast rate within every moment, many on the ascension path are experiencing these intense 12d and higher density in consciousness waves in many various manners of being. Many on the ascension path are experiencing an awakening in consciousness, while feeling more at peace, grounded and balanced with an intense feeling of lightness in frequency while the lower ego mind is dissolved. It is natural to feel preasure on the head and tingles of vibrations throughout the body, seeing energy, and feeling more intuitive with an inner knowing without any doubt, along with an increased feeling of joy and unconditional love. While many living in the mind are feeling stress, with endless challenges, anger, sorrow, feeling confused and lost in 3d everyday drama’s where the lower ego mind is in constant bombardment of these individuals, many are always fighting in an endless conflict of the mind fighting themselves, feeling sorry for themselves in endless suffering and limitation and much ignorance and fear. This is where you can see why these beings are in a low frequency, insisting to live in this state of separation. You can see just how one cannot ascend to the 5th dimension with all these blockages, as fear does not exist within our hyperspace community of ascended beings. It is seen as a virus. 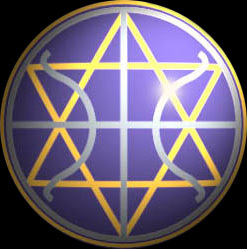 I am aware that there are individuals who have been propagating the various information that has been released on the Internet about ascension from the Galactic Federation of Light and the Ashtar Command, in which these individuals have convinced many who are awakened that this is all a hoax and an Agenda that is part of the government’s plan to take over the Earth. I just want to clarify that this is in fact the government spreading fear in their last attempt to hold onto power and control all of you. These beings are claiming that those who are aware of their nature as unconditional love in being the Light are confused and programmed by the government’s psy-ops program sent through electromagnetic radio frequency. In conclusion, they are saying that even I am programmed for giving out the truth to who we all are and how we claim our power through love and peace. These, ladies and gentlemen, are merely scare tactics. If you look deep within your heart to see if what I say to you is truth or illusion ,you will find that I have never mislead you. One such individual is the channeler known as Greg Giles, in which this individual has written a long paragraph confessing that all the information he had so far channelled from the Galactic Federation of Light and the Ashtar Command were messages he had rather been recieving from the C.I.A and the U.S government; that he was confused and takes full responsibilty for misleading his followers. This is all to create confusion in those who come across these messages. Before I read this last message from him, where he had even said that he would take his blog down, I had been informed by my brother and ally, Jose Contreras, through Anne DeHart from the Hollow Earth network about this, that the real Greg Giles had been taken aboard our Motherships as his work had been completed and therefore had to leave the planet which he did, as he is the son of Sananda, which Commander Ashtar personally confirmed to me. This is where the confusion about me being a clone, just after I had been away for 20 days, and returned, where I had left without telling anyone came in; as everyone thought I would do the same and tell you all that I was confused in which everything I had so far shared came from my imagination. This is not true, my brothers and sisters; everything I have so far shared with you is as genuine as the air I now breath. I would just like to clear all this confusion and bring it into the light that Greg Giles, ladies and gentlemen, is not the Greg Giles you all knew. The originator of Greg Giles last message claiming to be in confusion and programming is a clone and I just wish to clarify this, as nobody has. This is most likely from the government itself. Continue remaining within your heart center and go within for clarity, bring the light forth from within and keep focusing on peace and love for all on this planet. Focusing on fear will only bring one in a low vibration and in much confusion. This is real. There is no hoax here. May you all shine bright and ascend with the Earth upon reaching the Galactic core within zero point. Those who continue to entertain the mind will be teleported to another duality plane where they will continue with their life of Karma in endless reincarnation cycles. I am Commander Vrillion of the Ashtar Galactic Command.